There’s no need for a second set of “grot box” speakers when you’re monitoring with the Avantone Audio Mix Tower active studio monitors. 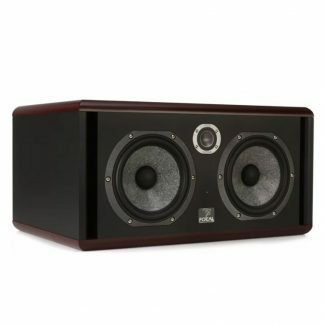 The three-way speaker design serves up transparent, wide-ranging audio with exceptional dynamic range. But step on the included footswitch to engage MixCube mode, and you hear the sound of Avantone’s famous 5.25″ MixCube speaker driver for a real-world small-speaker reference. If you want to make sure your mixes translate well to small-speaker playback systems, get the Avantone Audio Mix Tower studio monitors. For years, many engineers at Sweetwater have turned to Avantone’s MixCube speakers to reference what playback will sound like on smaller speaker systems. The Avantone Mix Tower sports the exact same MixCube design for its midrange driver, and you can switch between full-range performance and MixCube mode just by stepping on the included footswitch. 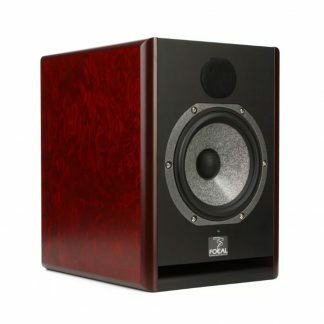 If your mix sounds good in MixCube mode too, it should sound good on just about any playback system. When not in MixCube mode, the Avantone Mix Tower monitors serve up transparent sound across an impressively wide range. You’ll feel the power of bass and the sense the sparkle of higher frequencies, without the sound becoming harsh or fatiguing. The drivers are crossed over at 120Hz and at 8kHz. 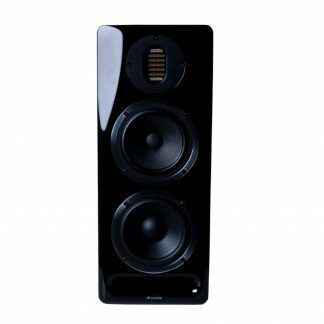 In the Mix Tower’s full-range mode, you’ll enjoy wide-ranging response and incredibly dynamic sound. The true three-way design drives the woofer with an ample 200 watts, with 100 watts each to the mid- and high-frequency drivers. 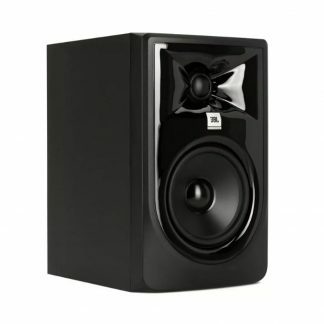 Sure the Mix Tower monitors can get loud, but they’re also amazingly detailed and three-dimensional at lower volume levels. The exceptional transient detail also helps you shape your stereo field, and lets you achieve more precise dynamics control. Make sure your mixes translate, with the Avantone Audio Mix Tower!